Any idea who the WORST kind of people to sponsor into your team? You know… the type that actually slow down your business, and if you’re not careful, KILL the momentum of your growth. P.S. 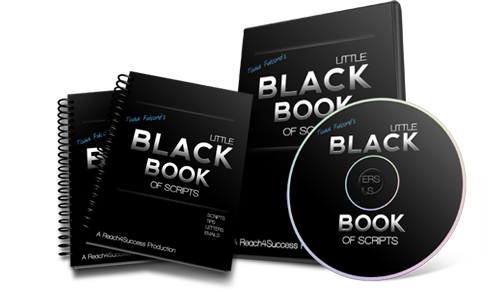 By the way, if you don’t already own the “Little Black Book of Scripts”… you’re nuts for not getting it. Check out Little Black Book of Scripts here and pick up you copy! Study it, take notes, apply it and listen to it again (you’ll want to do that… I guarantee it!). Don’t waste your time on wrong people because with will only drag you down! Thanks for the information Tom!